Who'd have thought a band 10 years ago, one supporting the likes of Jamie T and The Maccabees on their UK tour dates would go on to release some of the most iconic music from my generation. Following their name change White Lies were formed and the rest is pretty much history, their debut album 'To Lose My Life...' still receiving countless plays 8 years after its release date. I guess it was no surprise for it to chart at #1 in the UK, a record that despite being inordinately dark and inconsolable throughout got me through a number of difficult years. Following 3 consecutive top 5 albums, ‘Ritual’ (#3, 2011) and ‘Big TV’ (#4, 2013), White Lies return with what looks set to be their biggest and best effort yet as 'Friends' comes full circle on their stylistics with another smoke shadowed masterpiece, their most ambitious to date. With the album's opening single, Take It Out On Me, the band so perfectly take their grandiose ice-laden synths and match them to Harry McVeigh's soaring vocals in pristine detail. It's clearly evident they're reaching out for stadium worthy euphoria, and make no mistake, it's not far off the mark. From Morning In LA's twinkling melodies to Hold Back Your Love's expansive soundscapes, a track that culminates in to a gorgeous 80's inspired medley, they don't falter. 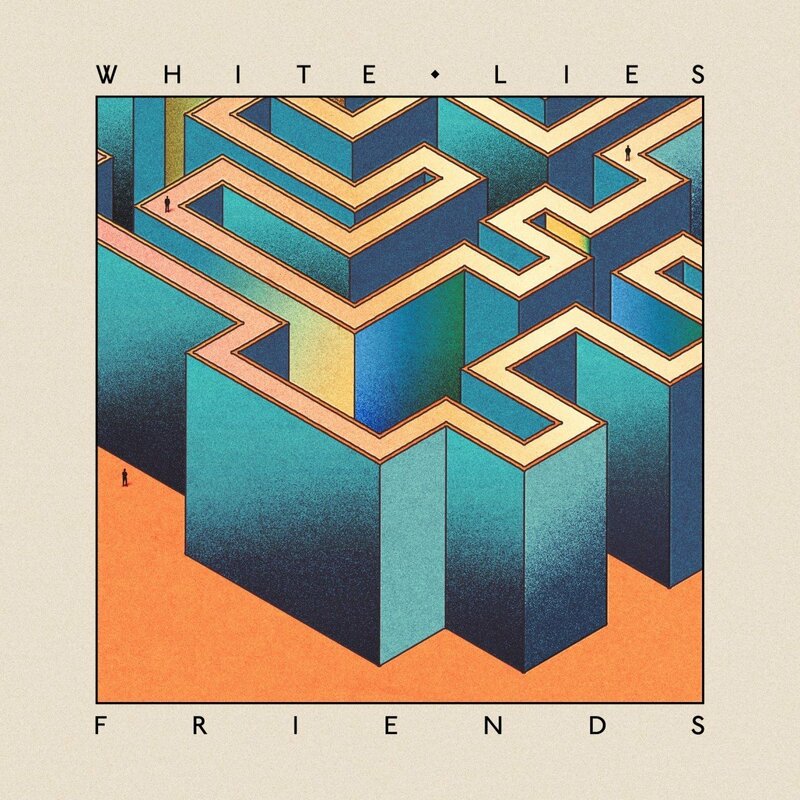 Few bands can pull off this crossover between guitar and synth quite so well as White Lies and 'Friends' might just be their greatest example of work. "I Don't know what to feel any more, feeling all this for you". Not strangers to having romanticism qualities ingrained in their music, Is My Love Enough? pitches digitalised melodies amongst their despondent lyricism. "I know I had to leave but it hurts so much, Just knowing that my love might never be enough" croons McVeigh as its backdrop explodes in to life through a scattering of synth pad textures. It's a bold theme and one that they've stuck with since day one. Loving someone that little bit more than they love you is a torturous situation to find oneself in, with a soundtrack this good, it just about becomes bearable. Elsewhere, exploring a broad range of depths sees the band experiment with new structures as Swing unveils its elongated melodies and bouncy percussion resulting in an intoxicating deliverance. The same can be said for Come On. With them returning to a sound that had me falling in love with them back in '09 you might question use of repetition yet their resourcefulness soon puts to bed these ideas as the track lifts off at lightening speed. As the record begins to wind down it brings possibly one of my favourites, Right Place. A slow burner with exceptional use of space, the track gradually crescendos in to a soaring tour de force with chest thumping basslines and gleaming percussion. If it's yet to do so, this one will no doubt raise a goosebump or two. Whether it's the bellowed dead-soul vocals sung in blissful harmony or the transcending eloquent percussive breaks, their message is obvious. They might not have had a label in its early stages but that hasn't stopped them producing a record that can proudly sit amongst their back catalogue, matching their debut's valiant delivery. There's a lot to be said about the spectral sobriety of the synthesiser and mixed with their heavy guitar sound and driving percussion, it's enough to push 'Friends' to the forefront of releases this year. White Lies will release 'Friend's' on Friday 7th October through BMG. You can Pre-Order the album here.